The FIRST event of the 2019 Wed Night Park series. High Park is an intricate park with lots of interesting features. Great for both advanced and beginner orienteers. And it's IMPOSSIBLE to get LOST! Please join us for this event. For upcoming beginner clinics please check out our schedule here. NOTE - High Park will be closed to vehicles for the cherry blossom festival. So if this coincides with our event, you won't be able to drive into the park. We are pleased to announce our new youth orienteering program for girls and boys 10 to 14 years old. Over the course of 8 weeks participants will enjoy the outdoor adventures of exploring trails, finding objects, and cross country running while learning some map reading and navigation skills. 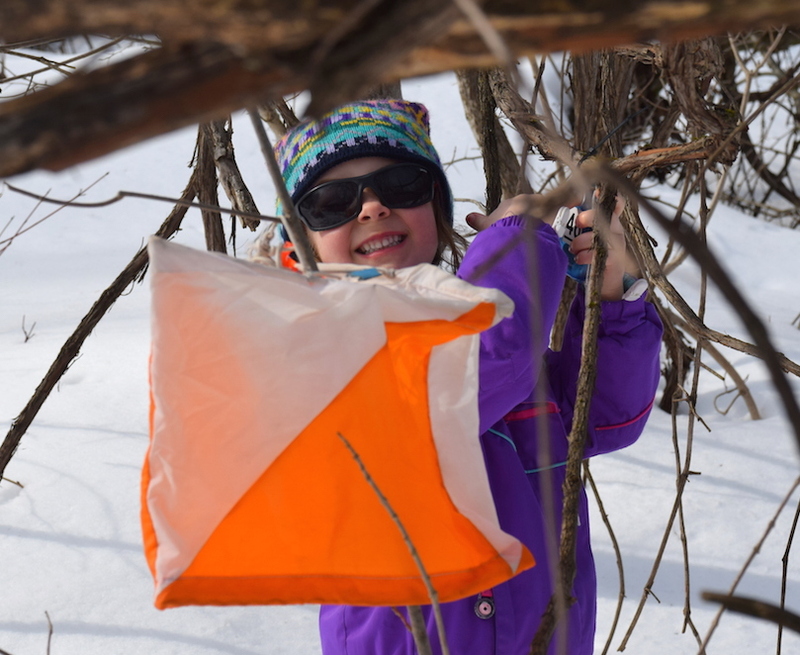 On February 10th, our friends from STARS Orienteering are plannig an exciting Snowshoe Adventure Race at the beauriful Mono Cliffs Provincial Park. Details here. Orienteering, in the classical sense, is “cross-country running using a map and a compass.” Often called “cunning running” or “adventure running”, this is a thinking sport where you have to navigate a preset course of “control” locations in a park or forest using only your map, compass and your wits. We are pleased to announce our new youth orienteering program for boys and girls 10 to 14 years old. Over the course of 8 weeks participants will enjoy the outdoor adventures of exploring trails, finding objects, and cross country running while learning some map reading and navigation skills. Interested in orienteering but don’t know where, or how, to start? Or do you want to enhance your navigation skills? Join us at one of our Beginner or Intermediate Clinics. Orienteering is a fun and educational sport. We offer school programs and orienteering events for schools at various levels and coaching workshops for teachers and group leaders. If you are planning a company outing this summer, consider orienteering for a unique and exciting alternative to typical corporate excursions. Not enough time to get outdoors? We can bring orienteering into your office as well.